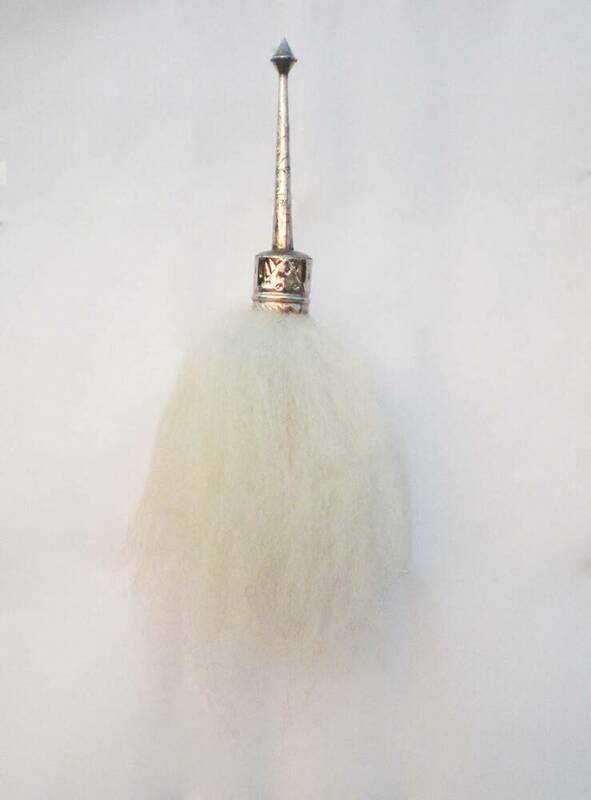 Excellent quality real original Yak Tail chamara fan for Deity worship. These deluxe traditional chamars are the complete bunch of hair from a yak (which quickly grows back after being removed). These are in short supply and difficult to get. This is exactly the same style of chamara the gopis used to fan Krishna and Mother Yasoda used to worship Krishna. We have limited stocks and do not know how long we will be able to offer this product so if you want a real chamara please order it now. The chamara or ceremonial fly-whisk is a royal symbol of great antiquity. Even when Krishna was present on this planet 5,000 years ago the yak-tail wisk (chamara) was used by Radharani and the Gopis to worship Krishna. 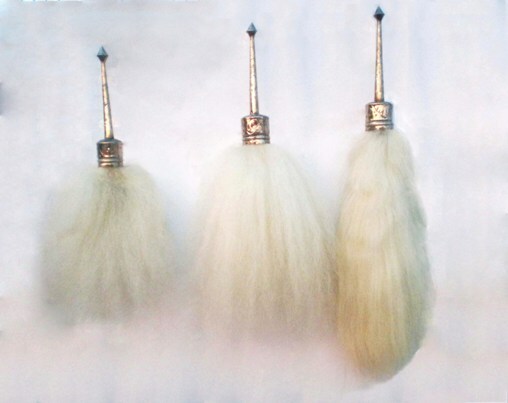 In India, the royal chamara is traditionally made from the white hair of the Tibetan yak, the chamara can also be referred to as "the yak-tail whisk." The chamara is also used by Krishna's queens at Dwarka to worship him and throughout the ages the pujaris in the temples of Krishna and other demigods use the chamara, the yak-tail wisk, as an integral part of the aroti service. " The chamaras will vary slightly in shape and size as they are produced by the yaks, not in a factory. There may also be some slightly off-white hairs as this is a natural product. The only 100% pure white chamaras are the cheap artificial ones which have some synthetic hairs. We do not sell these, we only sell the real ones, and these real deluxe chamaras are of course more expensive but if you want to have a real chamara, the same as the ones used by Mother Yasoda and the gopis to worship Krishna, then that is what our "Real Deluxe Chamara" is. ***Note: The chamaras will vary slightly in shape and exact size as they are produced by the yaks, not in a factory.